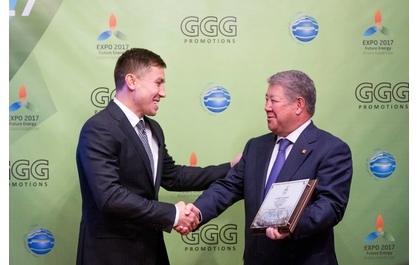 ASTANA – Boxing Superstar and unified middleweight World Champion Gennady Golovkin, better known in boxing world as GGG, has become an official Ambassador for Astana EXPO 2017. 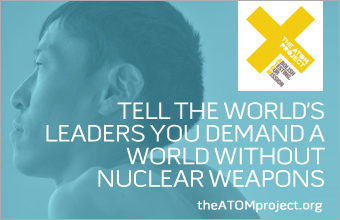 On March 31, in Washington. D.C., Astana EXPO 2017 National Company Chairman Akhmetzhan Yessimov handed over to Golovkin the honour of Ambassador of EXPO 2017. “The Institute of Ambassadors of EXPO 2017 allows promoting the idea and the values of exhibition as well as the theme of ‘Future Energy’. I am sure that our champion, Kazakhstan’s pride, Gennady Golovkin will adequately represent EXPO 2017 in the global arena. Gennady’s achievements in the field of sport and social life will increase an interest in the exhibition,” shared Yessimov, according to a press release from the Astana EXPO 2017 National Company. In turn, Golovkin expressed his gratitude for the privilege and promised to represent properly the main ideas of the upcoming event. The Kazakh boxer also urged the youth to take an active part in the promotion and advancement of the project. Moreover, the formal ceremony was attended by President of Kazakhstan Nursultan Nazarbayev, who congratulated the athlete on the ambassador status and wished him new achievements and victories. In turn, Golovkin thanked the President for his great contribution and personal attention to development of boxing and sports in general. Earlier, the honour of becoming ambassadors of EXPO 2017 was awarded to the Kazakh cosmonaut Aidyn Aimbetov and Astana Pro Cycling Team captains and members Vincenzo Nibali and Fabio Aru.